Most people prefer a pack that holds a little more gear than they actually need. An oversize pack allows you to go with the seven to nine pounds for three-season hiking but scale up to 13 pounds for winter. It also allows you to add more food and to accommodate a bear canister if one is required on the trails you’re hiking or if you just choose to use one. For most hikers a 55-to-60 liter pack will work for just about any trip you plan to take from a weekend hike to a Pacific Crest Trail thru hike. Here are five packs consistently recommended by a cross section of outdoor ultralight backpacking gear reviewers and gear testers. The Hyperlite Mountain Gear Stuff Pack is incredible light and collapsible. It weighs only 3.6 ounces and collapses to about the size of a banana. Yet it has a volume of just a little less than 30 liters (1800 cubic inches). Construction from CF11 cuben fiber accounts for the light weight and collapsibility. The Osprey Packs Expo 58 has been a popular pack with ultralight backpackers since it was first introduced in 2008. It has been updated and features have been added since then. The lid, key straps,and attachments points are all removable. Outdoor Gear Lab voted it’s little brother, the Expo 48, its “Best Buy” among a comparison of nine ultralight backpacks. 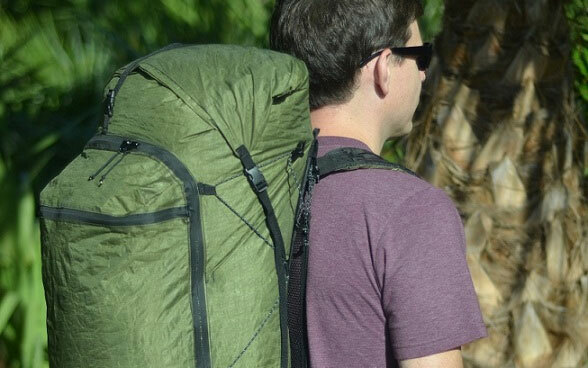 Granite Gear’s VC Crown 60 backpack has a 35 pound load rating. It has hydration ports and an internal hydration sleeve. The Arc Blast is ZPacks most popular ultralight backpack. It can carry 25-30-pound loads but performs best with about 19 pounds or less. Volume: 40 liters. Recommended for 30 pounds or less. Be the first to comment on "Best Ultralight Backpacks | Lightweight Backpacking Packs"